A slim crow with a scrawny appearance. 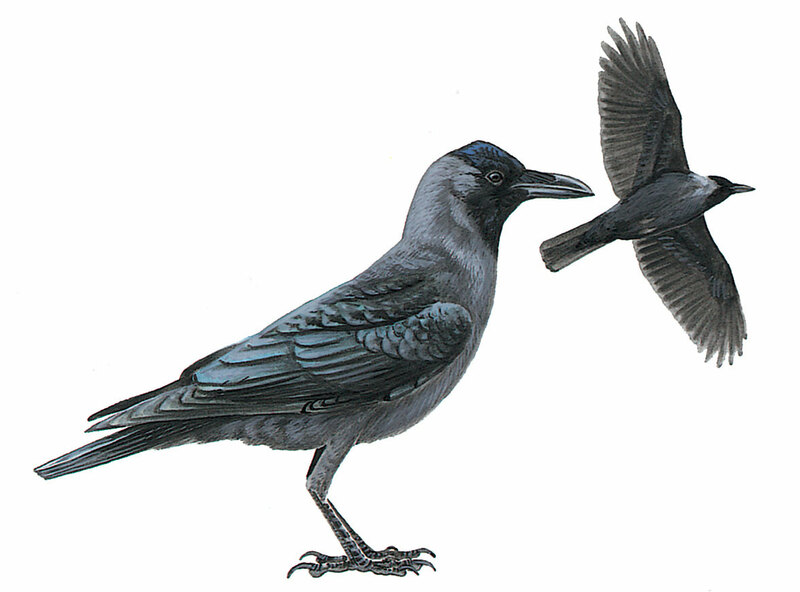 It has a domed crown, a long deep bill and a long tail.The grey nape, neck and breast clearly demarcated from black face and remaining black plumage. Gregarious.